While nothing has been decided yet, Ellensburg’s discussion of expanding municipal network services is already turning envious heads in Spokane and other nearby cities. 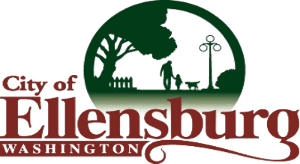 Ellensburg itself consulted with Tacoma, which has operated a city cable utility for years, in crafting its institutional network construction plan. It's always encouraging to see expertise and ideas spread from one local community to another, shortening the learning curve for small cities seeking to get out from under the local cable incumbent's thumb.